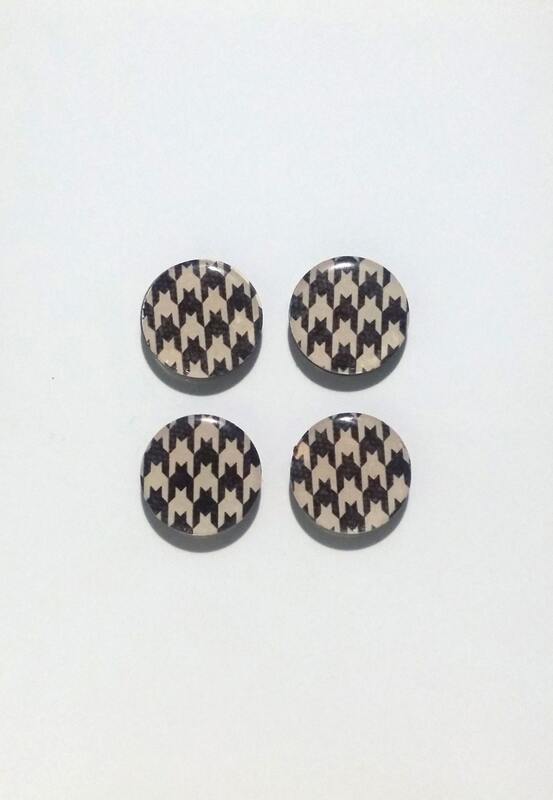 This is a set of 4 black and white houndstooth magnets. We made these because we are from Tuscaloosa, Alabama and love Alabama football. These are not glass magnets, they are made with epoxy for a smaller profile and clean look. These are great for decorating a kitchen, locker, toolboxes, magnetic boards, a mini fridge, and more!